This gorgeous 3bd 2ba Single Level Traditional home was extensively remodeled in 2013 and has a cook's kitchen with stainless steel appliances, custom cherry cabinetry, remodeled baths with limestone, newer roof, electrical, HVAC, dual glazed windows and tankless water heater. The interior is warmed by hardwood floors and large South facing windows. 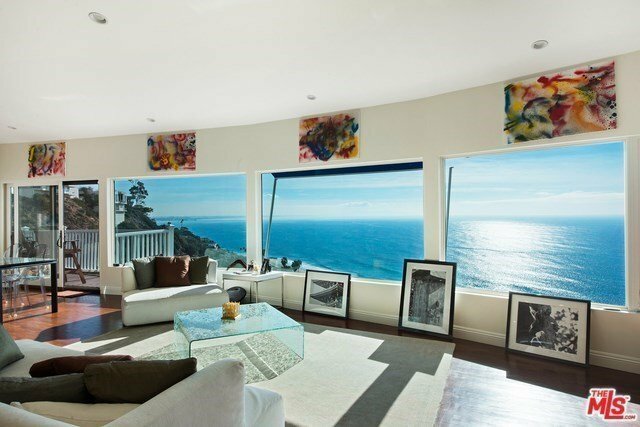 There is direct access from the 2 car garage, washer/dryer, and breathtaking 180 degree views of ocean, coastline, mountains and city.